The router comes with a dual-Core 1.7GHz processor and operates on the AC2600 WiFi protocol, which delivers double the available bandwidth with simultaneous dual-band WiFi. Netgear has launched its latest Nighthawk Pro Gaming WiFi Router (XR500) in India priced at Rs 23,000. The device can be purchased via authorized NETGEAR partners, other reseller channels and e-commerce platforms. 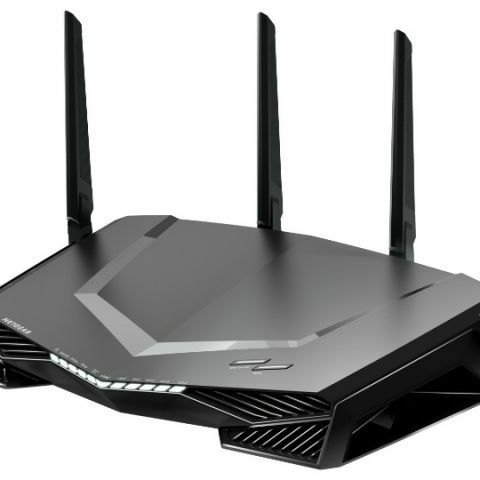 The new groundbreaking NETGEAR Nighthawk Pro Gaming WiFi Router (XR500) leverages advanced cutting-edge software to optimize network connections by stabilizing ping, reducing lag spikes, and keeps you always on with reliable wired and wireless connectivity for advanced online gameplay. The Gaming Dashboard, Geo Filter, Quality of Service (QoS) and Network Monitoring capabilities enable customization and gaming performance unmatched in the router space. NETGEAR Nighthawk includes best-in-class hardware features such as a dual-core 1.7GHz processor, Quad-stream Wave 2 WiFi with MU-MIMO, and four external high-power antennas wrapped up in an aggressive and formidable enclosure. “At NETGEAR we have worked tirelessly to deliver best-in-class performance, customization and ease-of-use for the ultimate gaming experience. The new Nighthawk Pro Gaming WiFi Router (XR500) is an extension of the customization and development of modern technological solutions. It is designed to meet the specialized needs of the gamers, the LAN switch comes equipped with dedicated features designed to eliminate laggy gameplay.” comments Mr. Marthesh Nagendra, Country Manager - India & SAARC, NETGEAR.